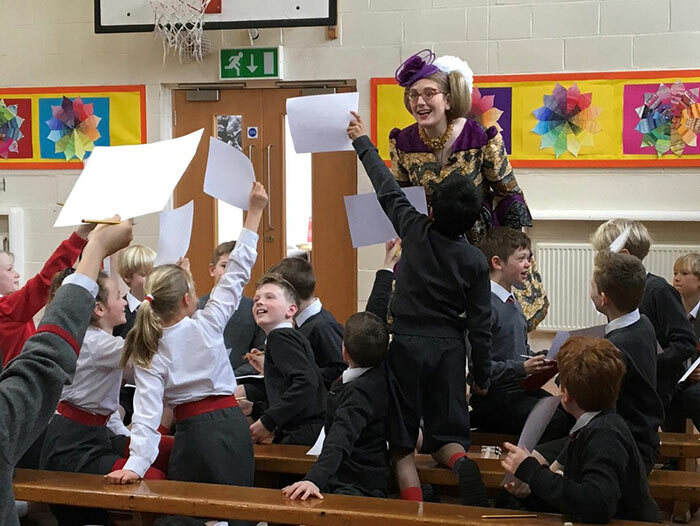 At the heart of almost all our school visits are thoughtful, pro-active librarians, and at Newland House School in Twickenham, I got to meet theirs, the excellent Caroline O'Donnabhain. 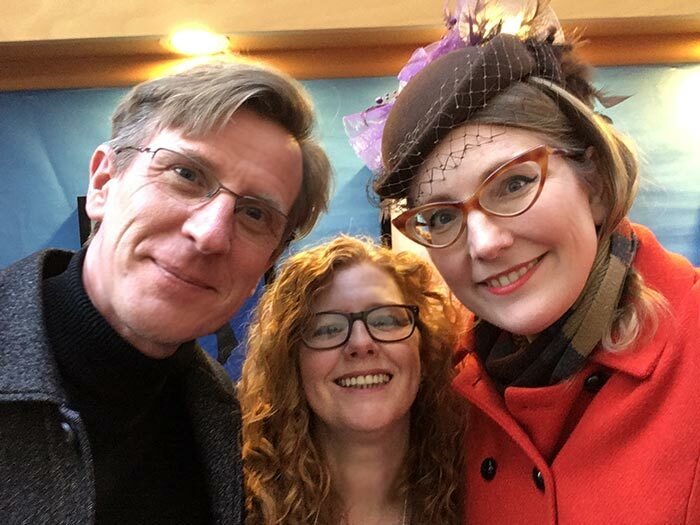 My co-author Philip Reeve had met Caroline seven years ago, on a previous visit, and the drawings he'd made then were still proudly displayed on the library wall! 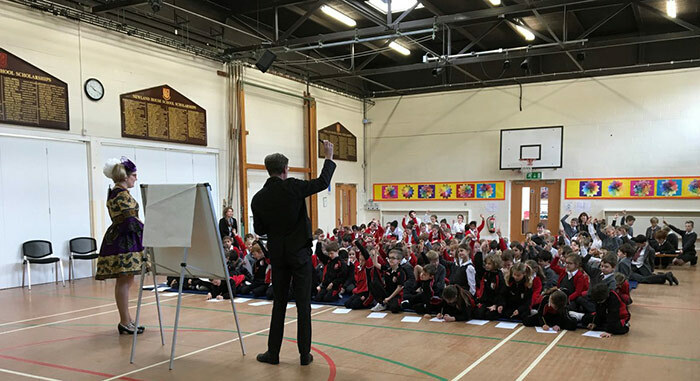 We got to talk with the kids there about how we work: Philip and I brainstorm ideas together, very often with Philip asking me, 'What would you like to draw?'. Then Philip writes the story (but often discusses it with me while he's writing) and then I draw the pictures (but he'll often help me with the pencil roughs if I'm behind, since it takes a lot longer for me to draw than for him to write). And as ever, it was great fun seeing their results! Thanks to @newlandhouse for tweeting these photos! 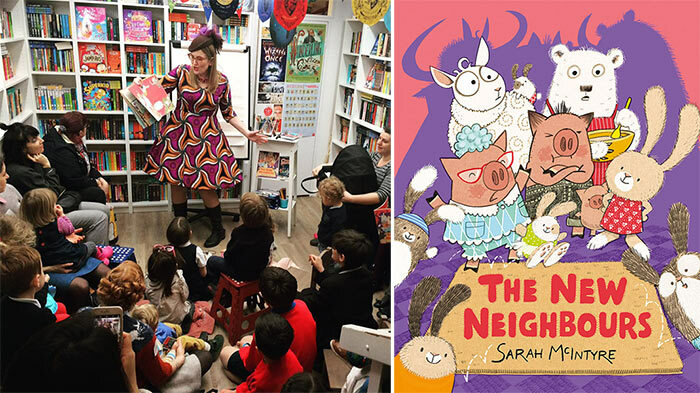 I didn't get any photos of my event featuring The New Neighbours, but we had fun designing our own animal tower blocks and talking about how drawing diagrams and building models can help give us ideas for stories. 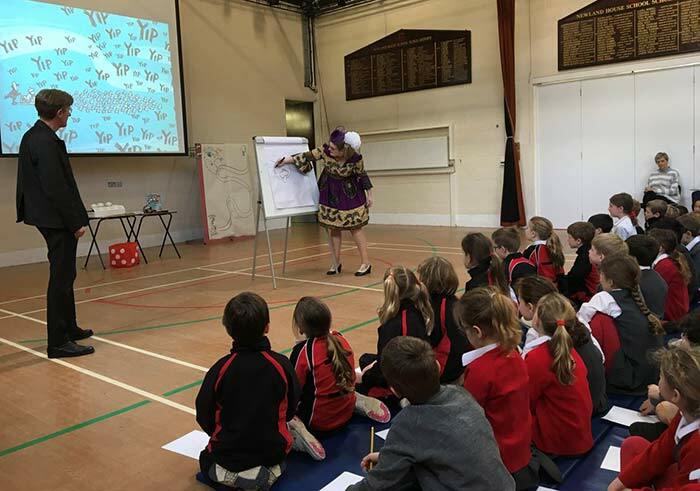 Thanks so much to Caroline and everyone at the school who made our visit go so well! Big thanks to the booksellers at The Alligator's Mouth for stocking books! We did an event the day before at their gorgeous bookshop (which you can read about here).